Home Uncategorized Do you want a digital banking experience, or not? Do you want a digital banking experience, or not? Despite our ongoing demands for digital offerings, 50% of Australians wouldn't want a chatbot to open an account for them. The banks are scrambling to lift their digital game and offer technology that makes banking easier, faster and frictionless for Australian consumers. Research released by finder in February revealed that 44% of Gen Z Australians would happily switch banks for a better digital experience, and 37% of Gen Y said they would too. The banks have been trying to give us what we say we want. In May last year, UBank launched Australia’s first artificial intelligence chatbot for home loans, which was developed to help customers through the home loan process in replace of a human. And in May this year, NAB launched Australia’s first superannuation virtual assistant built to answer customer questions about super so you don’t need to speak with a human for help. But some new research released today by professional services firm Genpact suggests no matter what the banks do in the way of technology advancements, we still won’t be impressed. According to its Consumer Banking Report, 25% of Australians would consider leaving their bank if they didn’t have a good enough digital service. 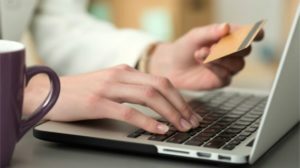 However at the same time, 50% said it was “not very likely” or even “not likely at all” that they would open an account with an online-only bank. Plus, 50% also said they would be either “not very comfortable” or “not at all comfortable” setting up a new bank account with a digital chatbot or virtual assistant. Growth leader, banking and financial services at Genpact Michael Menyhart said banks are caught between a rock and a digital place. “Consumers want it all: the speed and convenience of new technology, and the human contact they get at the branch and on the phone. A good example of a bank that is playing the balancing act between digital offerings and personal service is ING. The bank prides itself on being completely digital with no physical branches, yet in August last year, it opened its first “lounge” in Sydney’s CBD. It stressed this was not a traditional branch, but rather a place for customers to pop in for assistance or just a chat.